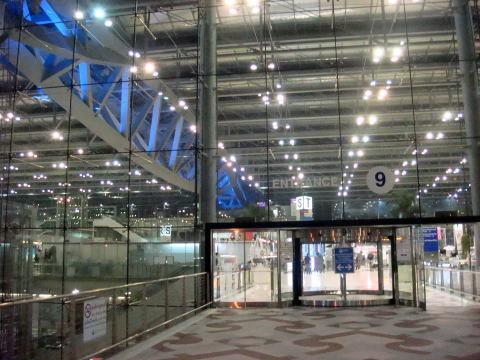 but will be assigned to different parts of the concourse. 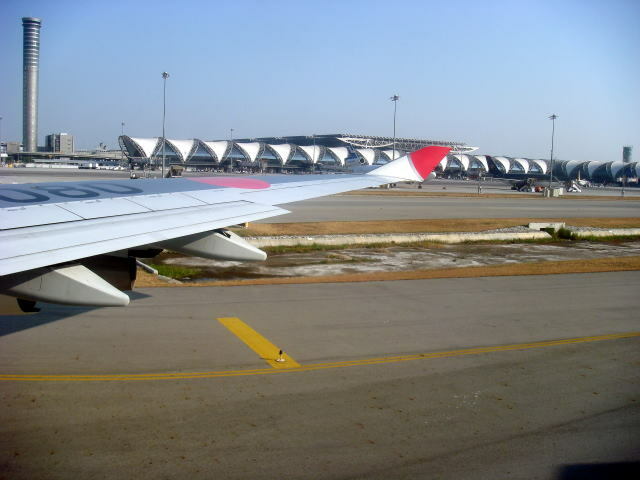 An air traffic control tower of New Bangkok International Airport is 132 meter-high,the highest in the world. 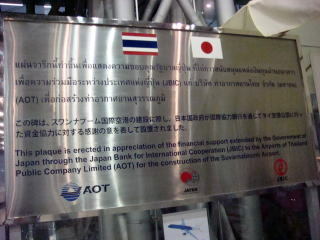 for the construction of the Bangkok Suvarnabhumi Airport. 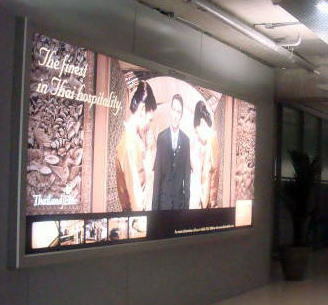 The airport welcome foreign visitors as a Buddhist country. 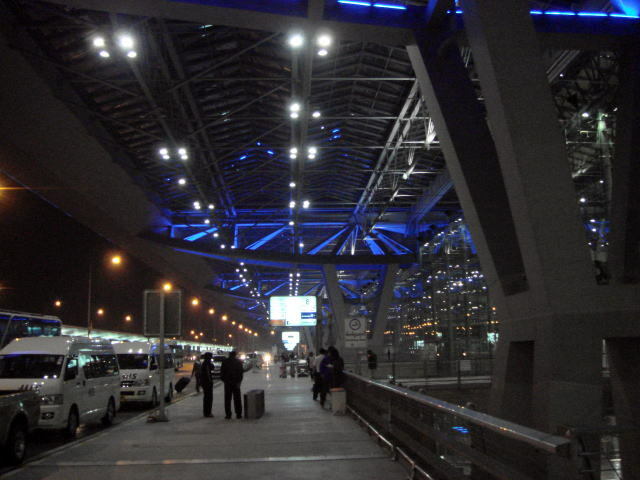 The terminal is composed of modern interior design. 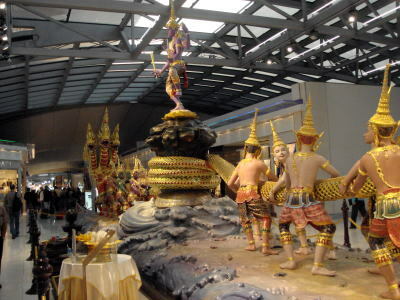 (L)The Thailand's hospitality with a polite bearing is a motto of the country. 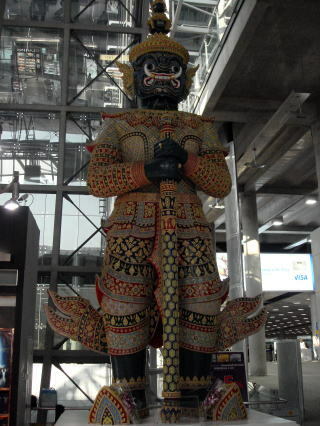 (R) A mythological giant, protecting temples from an evil. 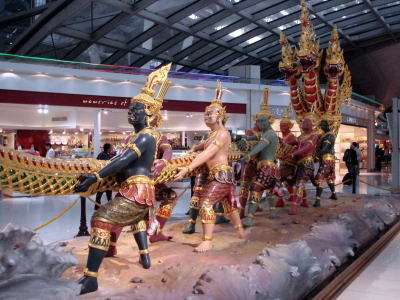 A display of the ancient Hindu mythological story, at the terminal building of the Bangkok Suvarnabhumi Airport. 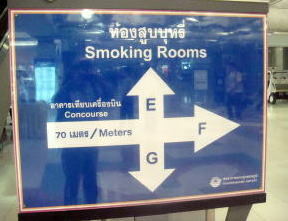 (L) An information board showing smoking rooms in the terminal buildings. followed by a spread of tobacco-smoke. 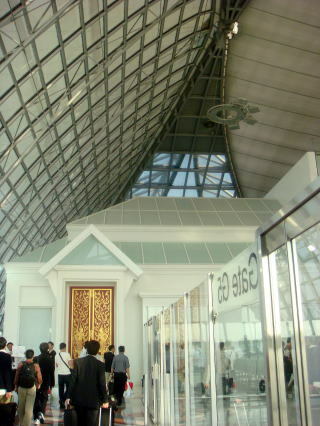 (L) The main entrance to the Bangkok Suvarnabhumi Airport. 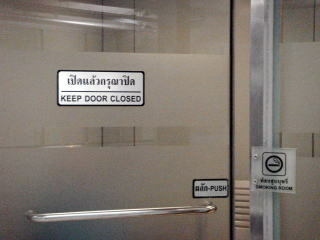 No-smoking sign board in the left. 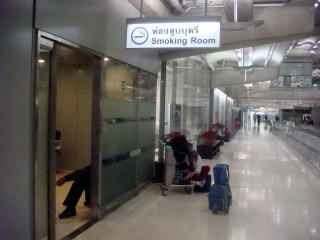 (R) No smoking sign plate placed at the entrance to the Suvarnabhumi Airport. 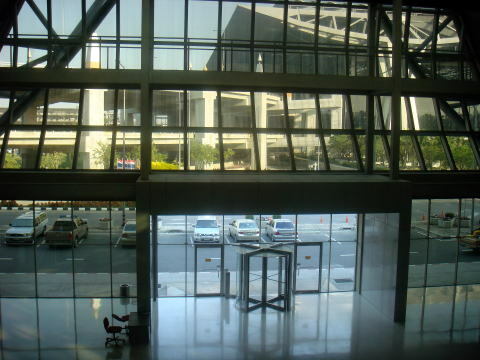 An outside smoking area of the lobby hall of terminal buildings. 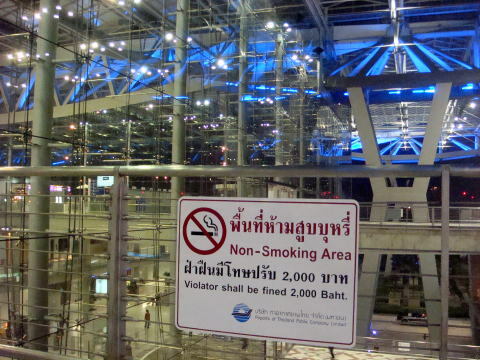 No smoking sign at the center entrance to the air terminals.